Earn money by sending us customers! You can make money by sending customers to the best font distributor on the planet. From our no-nonsense licensing to our industry-leading designer royalty rates, not to mention our commitment to treating customers fairly, it’s no wonder that both font makers and font buyers love us. We want to pay you to send customers to the best font distributor on the planet. Our large library of meticulously catorgorized fonts combined with powerful discovery tools give you a platform to make serious money selling fonts. Refer your valued audience to us with confidence and earn money for every customer you send our way. That's right! 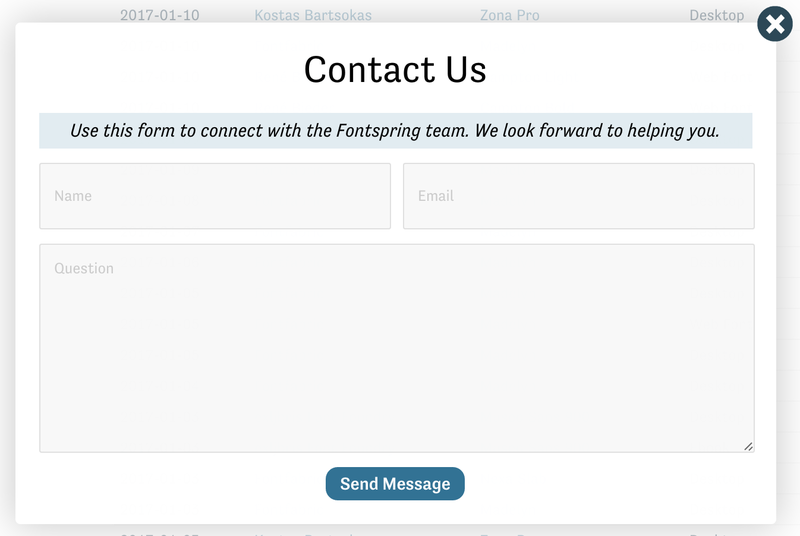 Fontspring will pay a 17% affiliate commission on all orders that you send to our site from your domain or through an affiliate refby code. We calculate the 17% on the base price of the font license. 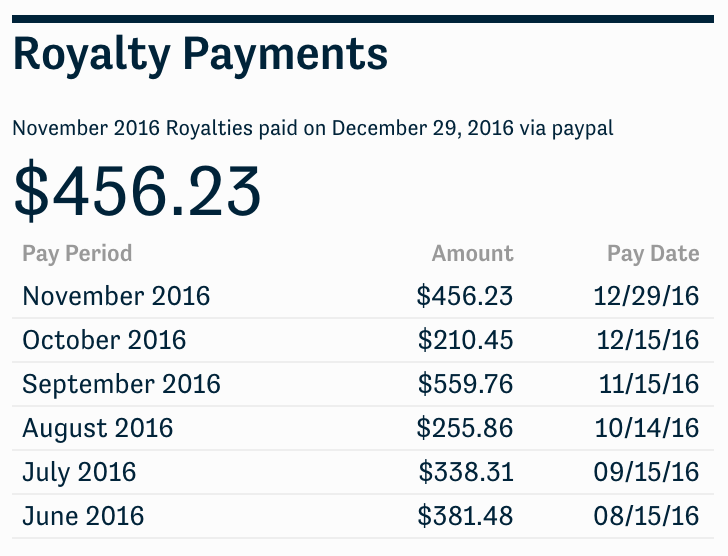 Customers are linked to you for 90 days, so any purchases they make in those 90 days will earn you affiliate royalties. 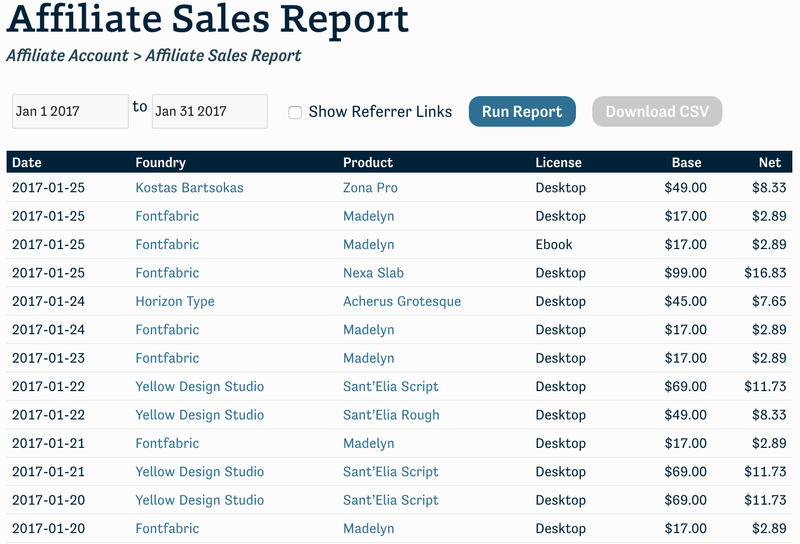 Manage and view stats on all your affiliate links through our intuitive affiliate portal. Payments are sent monthly via direct deposit, wire transfer, or PayPal. We’ll help you get set up through email, twitter, or by phone. Oh yeah, did we mention our industry-leading 17% affiliate commission? We promise to take care of you and your audience. We try to treat everyone the way we want to be treated: with kindness, common-sense, and fairness. The first step is rewarding you for sending customers to us in the best way we know how...with cold hard cash. Ready to make some dough with Fontspring?